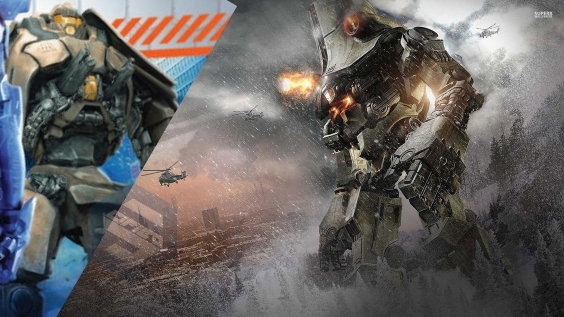 UPDATE: Meet Pacific Rim 2's Gipsy 'Avenger' & Upgraded Crimson Typhoon and Cherno Alpha! 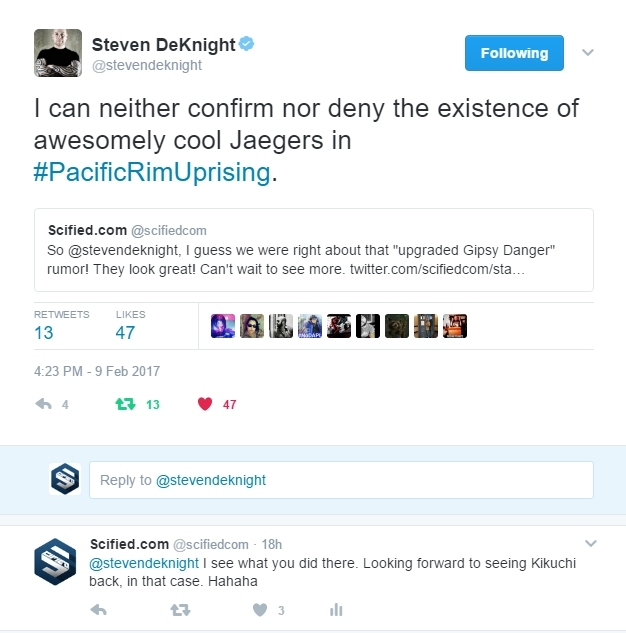 UPDATE 02/10/17: Bloody Disgusting has recently posted an exclusive claiming the name of the new Gypsy Danger is Gypsy Avenger. Although we hope to get confirmation on that soon we've updated the article to include the new name for the sake of separating the original from the new. 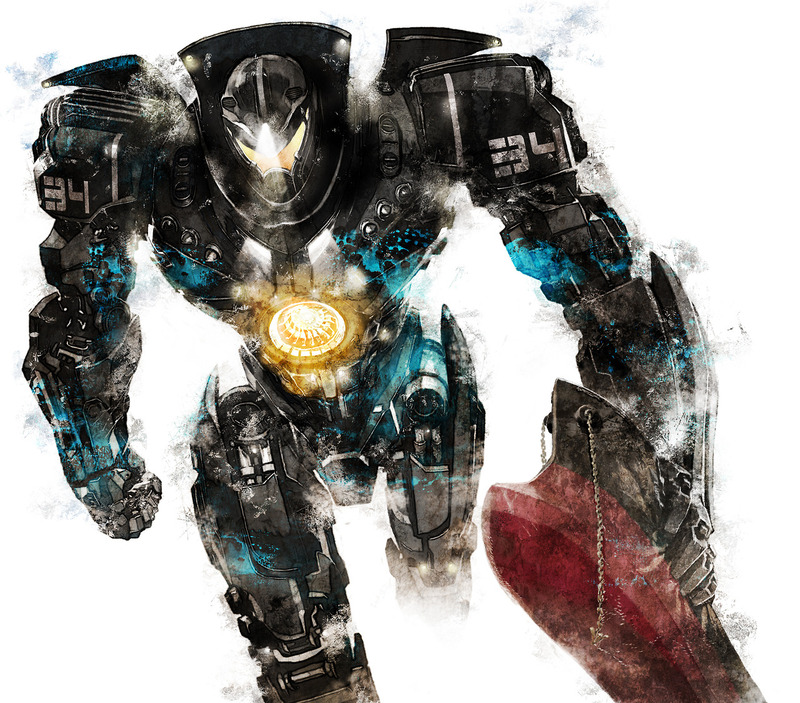 Following the exciting reveal of three of Pacific Rim: Uprising's Jaegers yesterday, we have deduced that the front-runner featured on the promotional artwork which debuted online, seems to be an upgraded Gipsy Danger model that Bloody Disgusting claims is called Gipsy Avenger, as we had originally speculated. 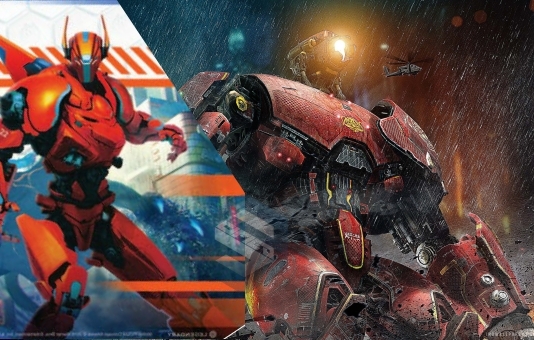 Comparing the new Jaeger, we can see clear cut similarities between Avenger (we'll go with Bloody Disgusting's name for now to differentiate the new version) and the original Danger from Guillermo del Toro's sci-fi epic. In 2013's Pacific Rim, director Guillermo del Toro compared the overall look and feel of Gipsy to that of a cowboy - broad shoulders and the "hat-like" back guard plates. This aesthetic direction has once again been taken with Gipsy Avenger. Subtract the improved visor design, the body shape remains almost the exact same. The back plates seem less curved with Gipsy Avenger and could double as extendable wings (we're not sure). Even the original Gipsy had rocket thrusters which it could use to propel the giant Jaeger into the air for maximized elbow-drop attacks. It's possible the upgraded Gipsy Avenger is made from lighter alloys, allowing it to actually fly for short periods of time - though, this is unconfirmed. The Nuclear Vortex Turbine which powered Gipsy Danger is also present with Gipsy Avenger, although it looks as if the new Jaeger actually has a dual-vortex mounted on its chest, rather than a single turbine. With the (theorized) added ability of flight, the Jaeger may require more power and so, this would explain the need for a secondary Nuclear Vortex Turbine. 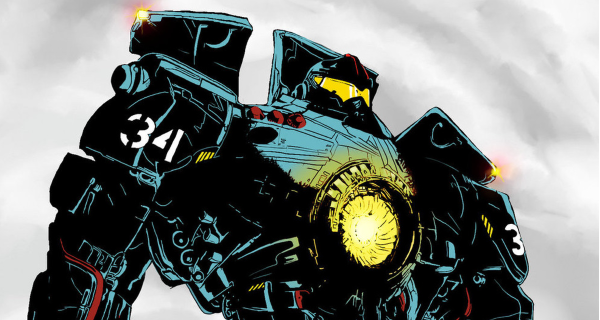 An interesting side note is that Gipsy Danger represented one of the earlier iterations of the Jaeger program, a Mark-3. 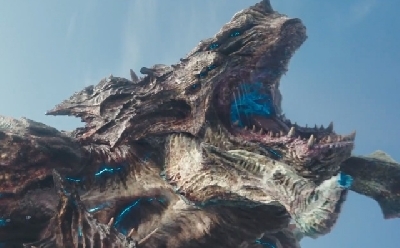 The Jaegers which followed Gipsy Danger's production did away with the Nuclear Vortex and scrapped its analog control for digital - which proved to be a weakness against an adaptive Kaiju. It is possible they reinstated the Nuclear-powered analog version of the Jaeger for Gipsy Avenger to prevent any similar form of EMP attack in the future. 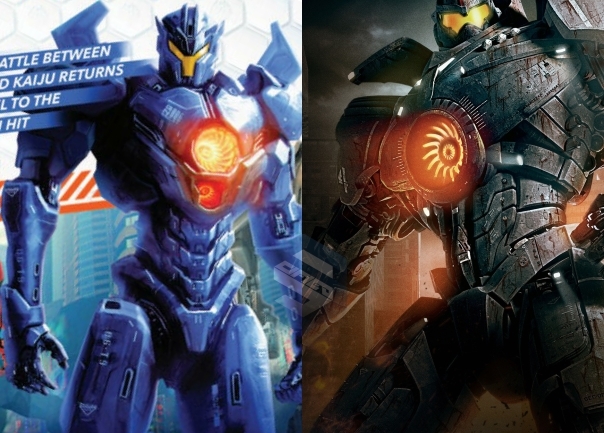 In addition to the currently named "Gipsy Avenger", the other two Jaegers featured in yesterday's reveal also seem to emulate two more classic Pacific Rim Jaegers - Crimson Typhoon and Cherno Alpha! 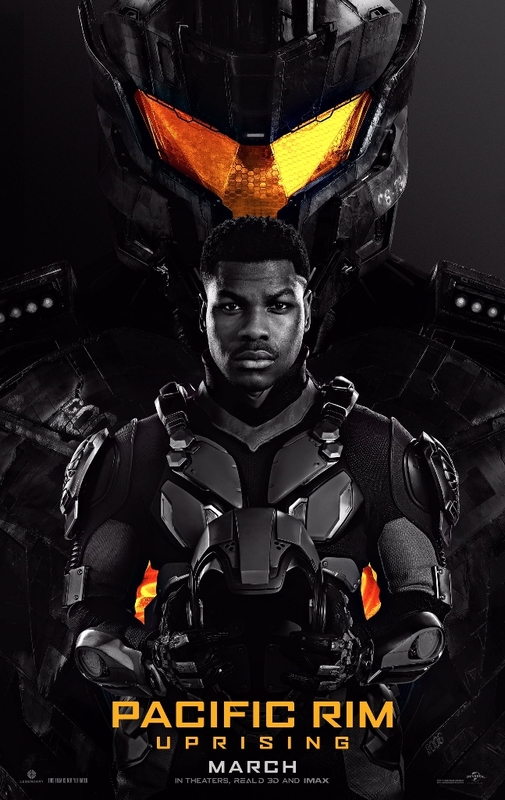 The homages between these Jaegers and the original three (minus Striker Eureka) from Pacific Rim are obvious, but are they as literal as we're taking them? As new details arrive we'll be sure to keep you updated. Let us know in the comments section what you think, as well as what you think their new names will be! 5 Fan responses to UPDATE: Meet Pacific Rim 2's Gipsy 'Avenger' & Upgraded Crimson Typhoon and Cherno Alpha! 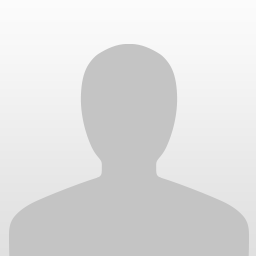 Look's awesome. I really like the new look of the Crimson Typhoon (if that's even what it is). Wunderful Article & Eye Opener! Does anyone else notice that the brown Jaeger has a Mark 3 Gipsy Danger arm? Despite it being Red I thought the second one was an upgraded Striker Eureka.